This is an outstanding London Photography Tour, taking in the best London viewpoints and then making our way on an exciting boat ride to the world famous maritime town of Royal Greenwich. We walk from London Bridge, along the Thames to City Hall and then to mighty Tower Bridge where we stop to get panoramic views back over London. We stop for refreshments right by the Tower of London to review your work, before taking a boat ride to historic maritime Greenwich. 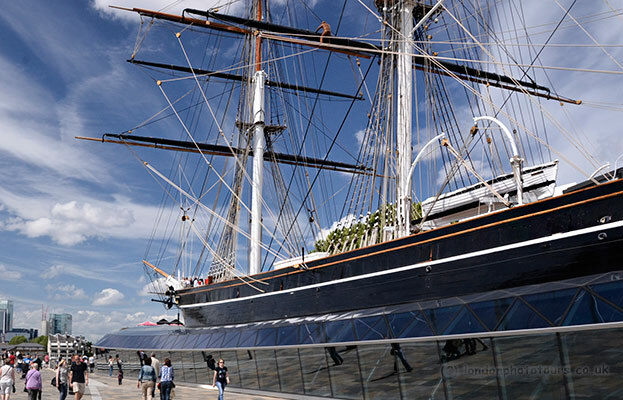 See historic maritime buildings, the Cutty Sark Ship and the National Maritime museum. If you are fit we can climb up to Greenwich Royal Observatory where you the line of time at zero longitude. Stop to photograph and feast our eyes on the most beautiful view you will ever see across London. Learn about composition, depth of field, shutter speed and ISO. Make your photos stand out from the crowd in this incredible London Photography Tour. This photo tour is suitable for all skill levels. Suitable for all types of digital cameras from compact to DSLR. This tour involves more walking than usual – you need to be reasonably fit. Return boat ride is included in the price. This tour starts at 11.00 am in London and finishes in Greenwich at 4.00 pm. We take a short working break for refreshments (not included) and for reviewing your photos. For this Private Photographic Tour you can select your preferred dates from our calendar. Please note: this tour is not included as a choice on our Gift Certificates. This photo tour is suitable for all skill levels. Suitable for all types of digital cameras from DSLR to compact to Smartphone.